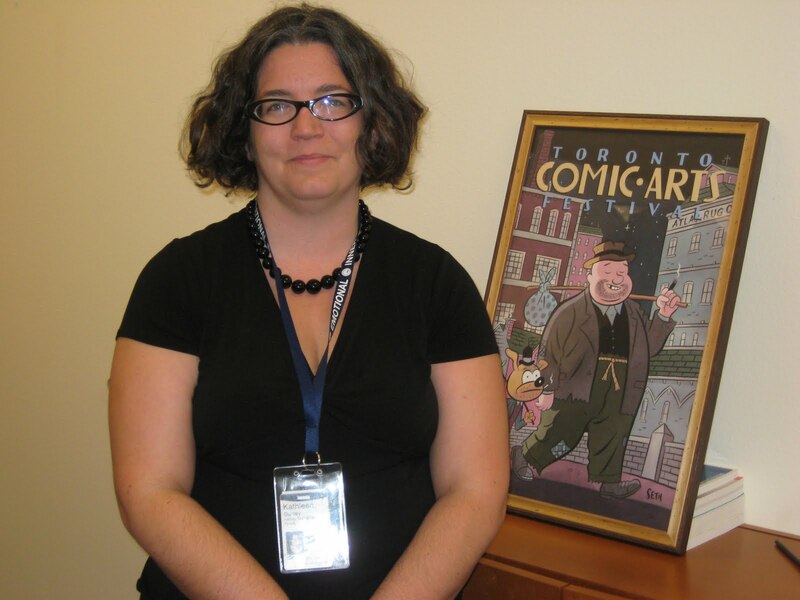 Rio Salado College | RioNews: Comics in College? Kathleen Dunley is the faculty chair for the English department at Rio Salado College and holds a doctorate in English from the University of Colorado with a concentration in contemporary American and experimental writing. Sounds very academic, right? Not the type of person you would expect to find hanging out at Comi-Con, right? Riiiiight…. As a matter of fact, Dunley was a speaker at last year’s ComiCon where she caught the attention of internationally recognized cartoonist, designer and historian, Seth. This guy is so cool he doesn’t even use a last name! Dunley and Seth will be sharing the stage for the headlining panel at the San Francisco Comic Arts Conference. The conference is being held in conjunction with the WonderCon event taking place from April 1-3. Dunley has been a fan of comics ever since she started reading Archie as a kid. In her teens she became interested in graphic novels such as V for Vendetta, Sin City, and The Watchmen. “It was different and a little subversive,” Dunley said about her choice of reading materials. If you’d like to hear Dunley speak but can’t make it to San Francisco, she will be in Scottsdale on April 5th and 7th to give two talks on the Multicultural Impetus in Comic Books for the Cross Cultural Communications Series at the Scottsdale Museum of Contemporary Art. She has also been endorsed by the Institute for Comic Studies to participate in the Phoenix Comi-Con in May.